The many things to do in Sanford FL. The beautiful Sanford waterfront! Sanford FL is a great place to visit with lots of things to do! Explore our beautiful historic City filled with unique shops, galleries, and eclectic restaurants. Take a stroll on the Riverwalk along the picturesque St. John’s River, or past the beautifully preserved historic homes under the canopy of our tree-lined streets. Take in a performance. Explore central Florida’s only zoo. It’s all here awaiting you! There is so much to discover. Come explore! There are plenty of great shops, restaurants, activities, and a vibrant night life here. Our quaint City was formed in 1877 and still retains the charm and beauty of a bygone era. Do search for treasured antiques, visit our nationally-recognized folk art gallery, or be adventurous and learn to sail Lake Monroe. Do experience the many tastes of locally-owned FL restaurants right here! 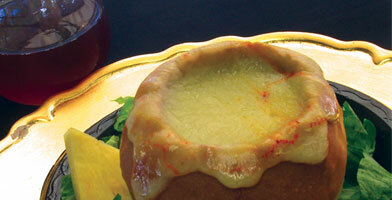 The best restaurants are right here in Sanford, FL. You won’t find any chain restaurants – only locally-owned. Treat your taste buds with some amazing eats with flavor profiles from American Bistro, Greek, Continental, Soul, Seafood and German cuisines. Find Cool Things. Shop, dine, play! If you’re looking for things to do in Sanford, cool stuff awaits you in our charming Historic Downtown! Our shops offer antiques, books, musical instruments, gourmet popcorn, vinyl records, vintage clothing, art, crafts and more! 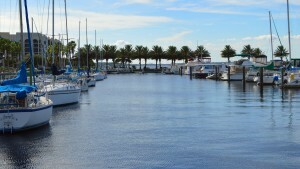 Our City is situated on the south shore of Lake Monroe, which is a widening of the St. John’s River. Did you know that you can sail all the way to the Atlantic Ocean from here? We have many yearly adventurers that set sail from the north east coast and head down to winter over in our marina. It’s wonderful to hear the stories they bring from home, and how much they enjoy being here. With an average high temperature of 82.7°, an average low temperature of 62.8° and an average temperature of 72.75°, what’s not to like? Sanford FL is the perfect place to vacation. It’s easy to get here. We are home to the Orlando-Sanford Airport, the Port of Sanford and Monroe Harbour Marina, as well as the southern terminus of the Amtrak Auto Train and a local stop on Sun Rail. Fly in, float, or load your vehicle, motorcycles or bicycles and ride the rails to get here. For international visitors, many charter companies fly into this airport, and for those here in the US, Allegiant Air flies into the airport. If you’re coming by car, we’re conveniently located to I-4 and the 417. For travelers wanting a departure from a stay at a hotel, we have charming Bed & Breakfasts to accommodate even the most discerning guests. The streets of our historic residential district are covered by a canopy of trees – many of which are more than a century old. Revealed there, is a collection of lovingly-restored art and crafts and Victorian-style homes. A walking tour of this lovely district takes only about an hour. 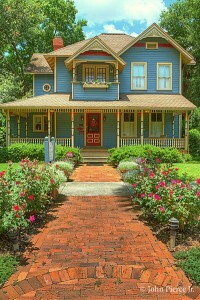 Afterward, it is just a short stroll to enjoy the many things you will find to do in Sanford. Visit our eclectic shops and restaurants, many of which offer outdoor seating. Take in a performance at the historic Wayne Densch Performing Arts Theater or the intimate Princess Theater. Stroll the Riverwalk on beautiful Lake Monroe. Sanford is home to a multitude of churches of almost every denomination, and many of them are located right here in the historic residential area. It’s all here and readily accessible. If you love art, there are many galleries, including a nationally-renowned folk art gallery. Many of the artists shown are residents and can be found creating in their studios. At the east end of town, sits Ft. Mellon Park, where you have a view of the lake. Here, children can cool off in the “splash pad” or play in the playhouse complete with slides. Play a game of hoops at the basketball courts or gather at one of the picnic pavilions. If you are bringing your “best friend” with you, you’ll find many places to eat in Sanford FL that are dog-friendly. We also are home to “Paw Park,” a place where they can make some new furr-ever friends and run and play, all within the safety of a fully-fenced park-like setting. If it’s water you love, there are many activities to explore. Learn to sail, take a walk or jog along the Riverwalk, or take a cruise on the Rivership Barbara Lee. You can also rent a boat and explore the river on your own. We have alligators, so swimming is not recommended! It is fun to see them, and you will often find that the best times to do so is in the morning or late afternoon. During the winter months, you will see fewer of them that at other times of the year. You may also see numerous species of migratory songbirds as well as our resident birds, like Peregrine Falcons, who actually nest in downtown as well as along the shores of Lake Monroe. In this 9,406 acre lake lives an abundance of fish such as Crappies, Bluegill and Bass. It is considered one of the best fishing spots along the St. John’s River. We are often asked if Sanford is a safe place. The answer is YES! You are less likely to be a victim of crime here than you are if you are visiting Orlando or Daytona Beach. As when traveling anywhere, common sense should prevail. If you are looking for a great place to visit, the things to do in Sanford FL will keep you coming back for more!